I recently had the pleasure of working with an act about whom I have being hearing great things for many years. The act was ventriloquist Mike Robinson, and if anything his performance was even better than his word of mouth (maybe a strange expression to use about a ventriloquist—but then the lips saying it all moved!) led me to believe. He was funny, funny, funny. Combined with the original and expertly delivered comedy Mike delivered in his show, was a technique as good as any ventriloquist I have ever seen, right up there with my previous frontrunner Jay Johnson. 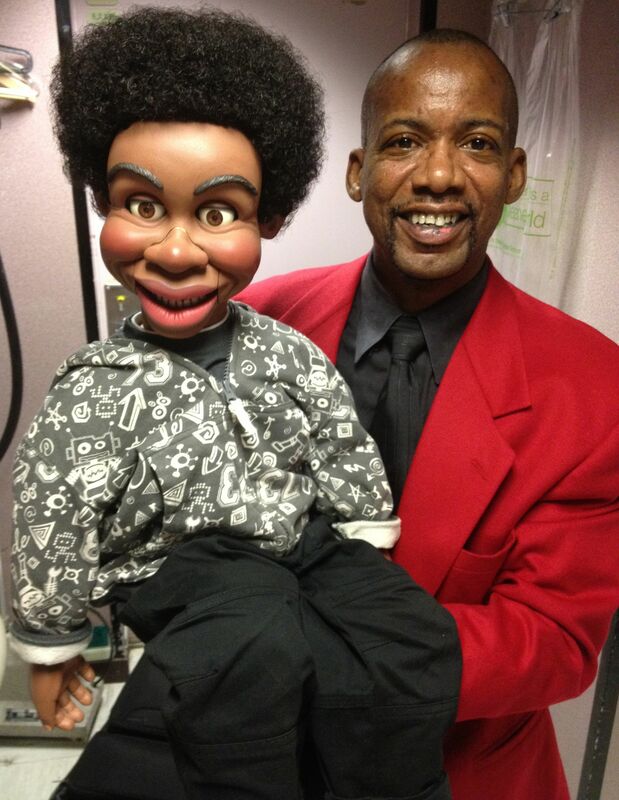 Robinson is an act that any performing ventriloquist needs to see, in order to improve their workplace skills. Included in Mike’s performance was a short segment that involved a really basic card routine that he set up for his sidekick Terence delivered the punchline. Now don’t be fooled by my use of the word basic, there was absolutely nothing basic about his casually expert handling of the cards or the ‘laugh a second’ dialogue. I have always been fascinated by how many magicians began their careers as ventriloquists and vice versa, I suspected that Mike belonged to this group and I was right. I had the opportunity to spend some time with Mike I realized that he not only fitted this category of hobby dialecticism but that he belonged to the much rarer group of individuals who possessed the dedication to master both art forms. 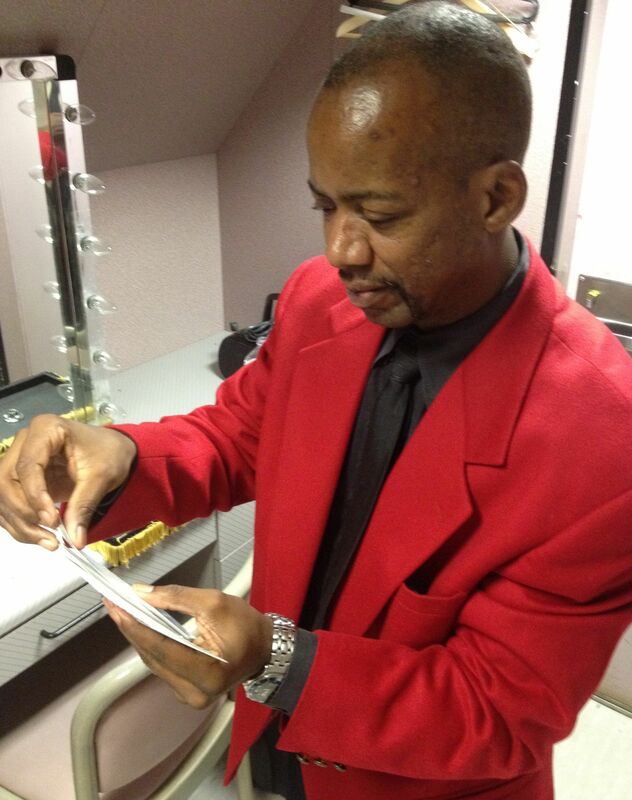 Put quite simply, Robinson is one of the very finest sleight of hand magicians I have ever seen perform. Mike is ‘Jack of two trades and master of both,’ however don’t expect to see him working in the close-up gallery at the Castle anytime soon. He is way too busy; making far to much money with his ventriloquism to give the experts at the Castle the treat his booking would deliver. Seconds, bottoms, multiple shifts, doubles and every form of gambling maneuver flow from his fingertips with the same ease that original comedy escapes from his alarmingly motionless lips! When we first sat down with cigars and a deck of cards I quickly exhausted my rather rusty card work and just sat back to enjoy the thrill of watching an expert strut his stuff! Magic was shelved (or more actually, sidetracked) for a career in ventriloquism that has made him one of the busiest performers on the scene. However, his drive and quest for perfection kept him working at some of the toughest moves and challenges to face any card worker. His success in both fields makes him unique. Mike began his serious study of magic watching the late, great ‘Charming Cheat’ Martin Nash on the Magic Palace TV show. He was instantly hooked on the gambling effects that Martin featured in his performance, “That is when the light bulb went off,” as Mike puts it. Richard Turner’s VHS tapes and personal guidance from Turner helped steer his work on the path to becoming a top card worker. Robinson met Turner at a ‘4F’ convention, and Mike still attends the yearly convention inspired by the great Eddie Fechter. He also performs a handful of highly select sleight-of-hand dates for high priced hospitality suite events. If you have a chance to see Robinson work—DON’T MISS IT! If he is performing his ventriloquism show then corner him afterwards and offer him a cigar and a deck of cards—he can’t resist either one. You won’t be sorry. I asked Mike to give some advice for young magicians who will read this column, I loved (and totally endorse) his response, “Go back and read the original literature, there are a lot of tricks out there on the Internet, but first develop your personality and then really study the classics. The first 4 Ace trick is probably still the best,” these are words of wisdom from a master performer. ~ by Nick Lewin on February 20, 2012. I have had the pleasure of working with Mike and he is truly one of the most talented people I know. He is also a true gentleman.